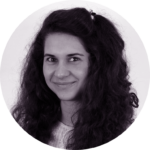 A brand new webportal for Sustainability Reporting with a history of 18 years! In 1997, the International Corporate Environmental Reporting website (www.enviroreporting.com) was founded by Folkert van der Molen (Van der Molen Environmental Internet Services). This website brought as worldwide the first actual news and gave references to numerous sources, manuals etcetera. 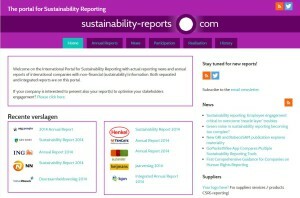 In 2002 www.Sustainability-Reports.Com was founded as the portal for Sustainable Reports of international companies. Today this website has gone live with a complete new look. 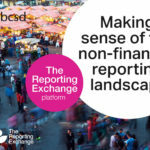 Also all the news from www.enviroreporting.com has been transferred to this new website. The news database with over 1,250 news stories contain the entire history of environmental and sustainability reporting for 18 years (1997-2015). It will be retained and fully searchable via the restyled integrated website offering now both news as annual sustainable reports! Have a look! 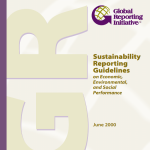 15 years GRI Guidelines for Sustainability Reporting!